The ESEE Camp-Lore PR4 is a highly functional fixed-blade knife that simply gets the job done. We borrowed one from a YouTuber for this review. The ESEE Camp-Lore PR4 isn’t an attractive knife. 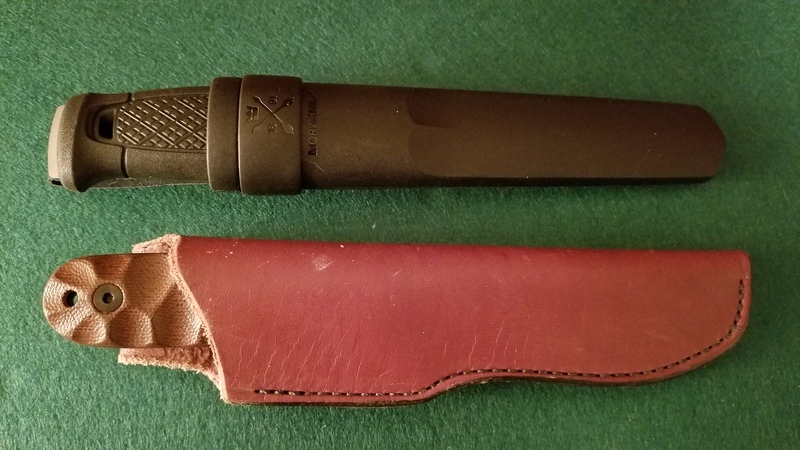 Its lumpy outline and simple spear point don’t scream “tactical,” “survival,” or any of the buzzwords thrown around in today’s outdoor industry. And yet, there’s something alluringly old-world about its design. Renowned for its capability, the PR4 lives up to its retro roots. 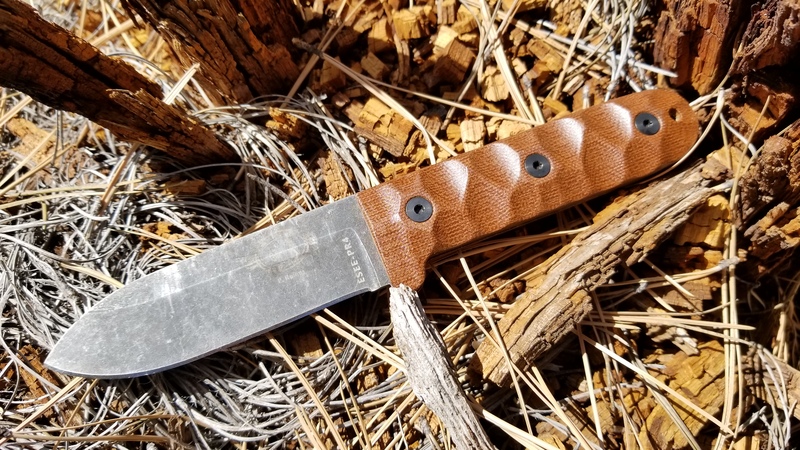 Based on the legendary Kephart belt knife design, this USA-made chunk of 1095 is the brainchild of designer Patrick Rollins. Its spear-point blade measures 8.9 inches from tip to tang, with 4 of these inches devoted to its flat ground cutting edge. Blade thickness is a modest 0.125 inches – sturdy, but not overbuilt. 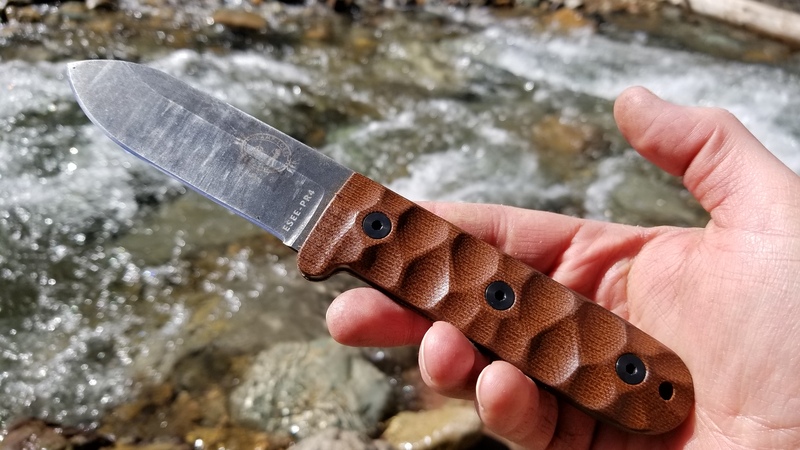 Its handles are composed of sculpted micarta, with a thickness of 0.6 inches. 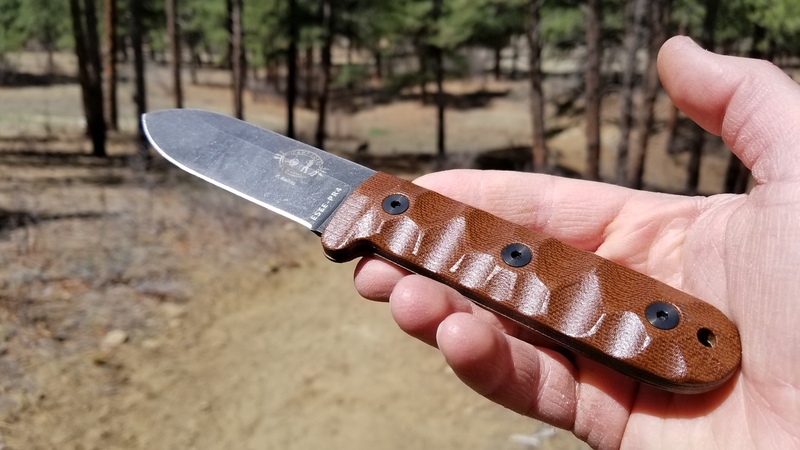 Like the Izula 2 I reviewed previously, the PR4 comes with a coating over its 1095 steel surface. But where the Izula’s extra layer is textured, the Camp-Lore has a smooth, tumbled black oxide finish on its tang and sides. The metal atop the knife’s 90-degree spine is uncoated, allowing for greater prowess with a ferro rod. Sans sheath, the knife weighs in at a reasonable 6.3 ounces. 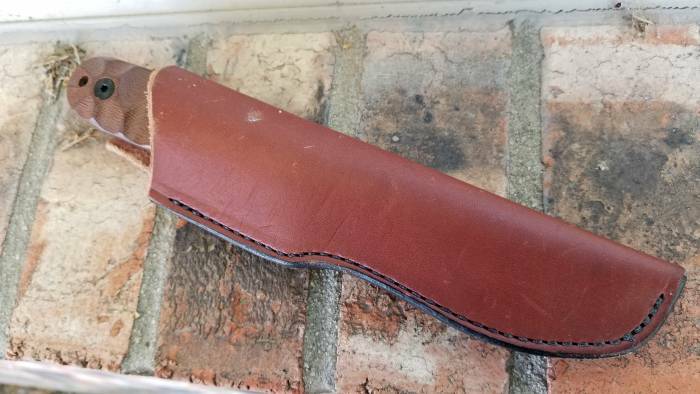 Speaking of the sheath, ESEE came up with a good one. Its thick leather hangs easily off the belt thanks to a robust loop with solid stitching. Retention is medium-loose, providing an easy one-hand draw. Let’s talk about the handle. The PR4’s scalloped micarta took a while to grow on me. My initial feeling was that, as nicely finished as it is, its profile was too thin for my medium/large hand. Several hours of field use changed my mind, though this is probably a try-before-you-buy situation for those of you with large paws. I especially enjoy the blade guard, which came in handy between applying sunscreen and attempting to carve. Here’s a brief story encapsulating my experience with the PR4. 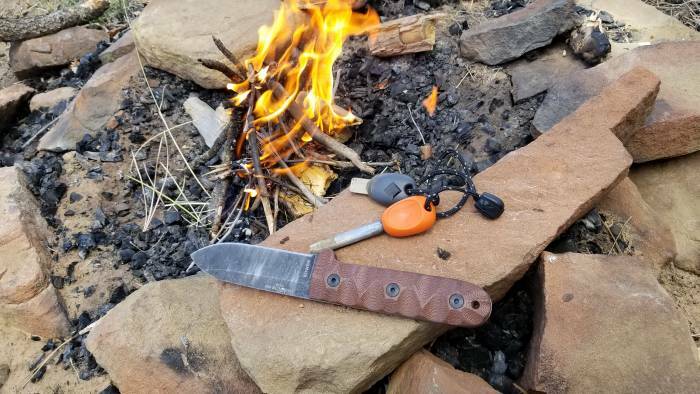 On each of my two day hikes with the ESEE, I stopped halfway through to build a fire. In both cases, I found myself in areas with plenty of downed wood, but not much natural tinder. This represents the PR4 in a nutshell. It slices, carves, and splits wood far in excess of my expectations. It even performed well as a food-prep knife, though the straight lines of the blade and handle make it difficult to cut smaller foodstuffs, like garlic. Which will, by the way, pick up some coloring from the otherwise tough-as-nails coating. Time to discuss the elephant on the trail. All throughout my first testing trip with the PR4, a single question kept running through my mind: Why would I choose this knife over the Mora Garberg? This beloved Swede has stainless steel and a Scandi-grind for bushcraft. And it costs around $40 less. So, when the time came for my second hike, I threw the Garberg into my pack. The idea was simple: Wear the ESEE for the first half of the day, then switch to the Mora for the trip back. I split wood, carved sticks, and started fires with each. In the end, it boiled down to durability. I feel like I can beat the crap out of the PR4, and it’ll spring right back after a quick hit with the strop. No such luck with the Garberg. Even with the microbevel, the Scandi edge will be harder to restore to true-angle in the field. 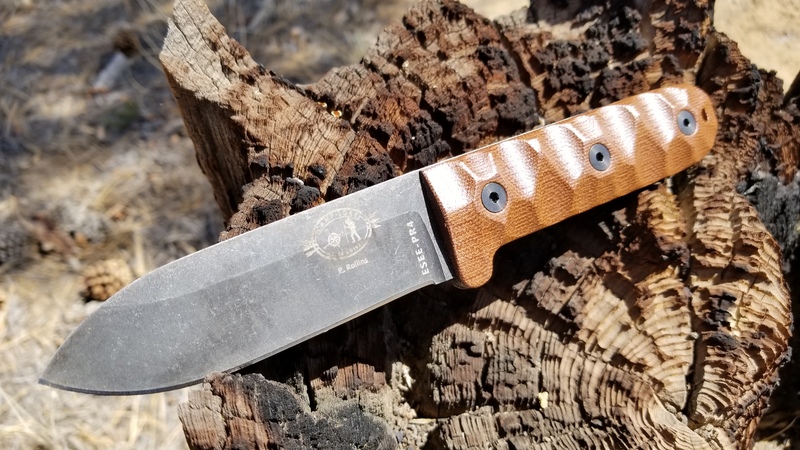 And while the stainlessness is certainly nice, the coating on ESEE’s 1095 has held up very well. 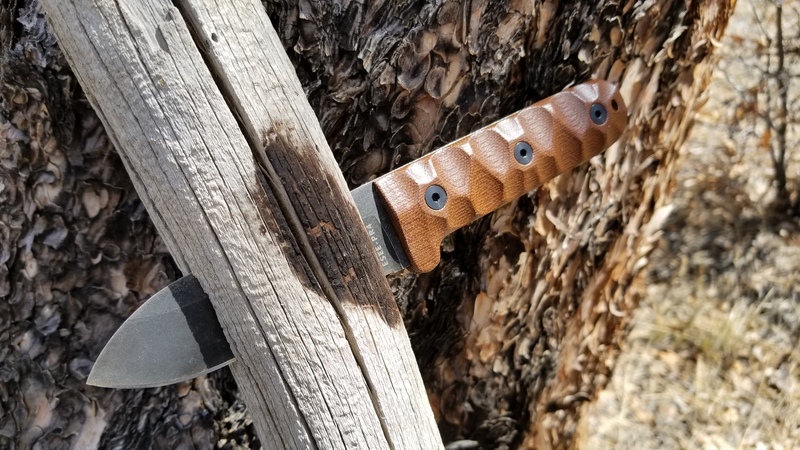 And, really, do you care if your trail tools start to patina? Those sorts of wear marks are unique, like badges of pride. In other words, this is a knife you buy for life. How can you beat that? 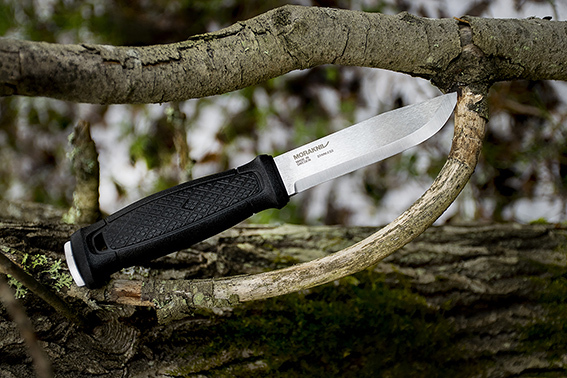 In short, the ESEE PR4 is a knife that defied expectations. From its lumpy profile to its basic steel, I didn’t expect much from this humble tool. 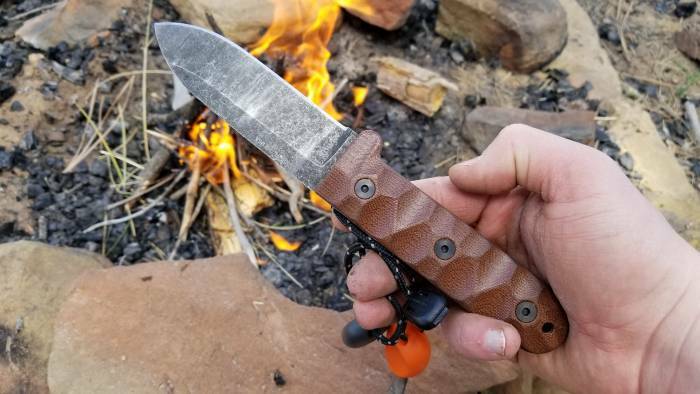 And yet, I found it to be one of the best knives I’ve taken into the woods. So much so, in fact, that I tried to purchase it from YouTuber Advanced Knife Bro, who loaned it to me in the first place. 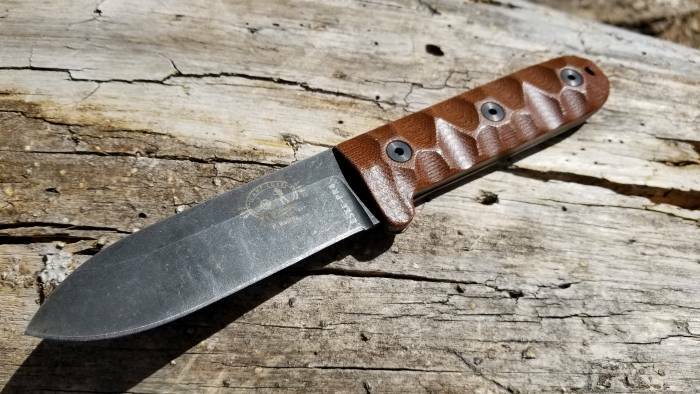 He wouldn’t sell, so I guess ESEE can look forward to getting more of my money. If you’re in the market for a dependable all-around outdoor tool with a bulletproof warranty, I highly recommend the Camp-Lore PR4. Just remember: If you’ve got large hands, you may want to test it in the store first.